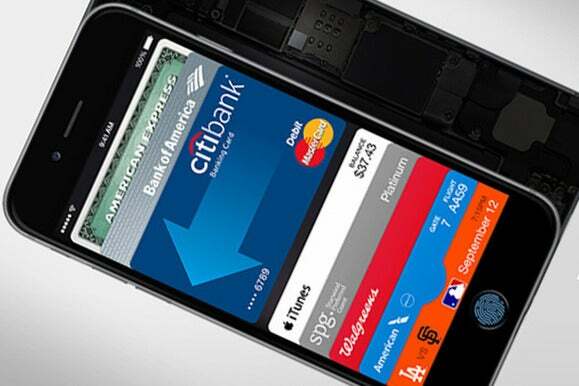 If you own an iPhone 6 or 6 Plus, get excited: Apple is turning on Apple Pay on Oct. 20. Apple CEO Tim Cook said the long-awaited mobile payment system, which uses Near-Field Communications technology baked into the new iPhones, will hit the ground running on Monday with hundreds of new partners. The company signed on 500 more banks, in addition to majors like Bank of America, Wells Fargo, and Chase. What we care about most: Where can you use Apple Pay? The company revealed some participating retailers when it announced Apple Pay last month, but Cook added a few more partners to that list at Apple's Thursday media event. You can use Apple Pay to make purchases at Staples, Chevron, Subway, Walgreens, Urban Outfitters, Anthropologie, Bloomingdale's, Apple, and a slew of other stores. Apple Pay also works behind-the-scenes to power payments in apps like Uber, Instacart, OpenTable, Lyft, Groupon, HotelTonight, Eventbrite, Airbnb, and more. Once you store your debit or credit card information in Apple Pay, which is accessible through Passbook, the system generates a token for one-time use. No need to enter or store card information in the apps you use on a regular basis; just authenticate your identity with Touch ID and you're done. You can even buy Beats headphones with Apple Pay (of course). "I've wanted these for a long time and Jimmy [Iovine] won't get me a pair," Cook joked. 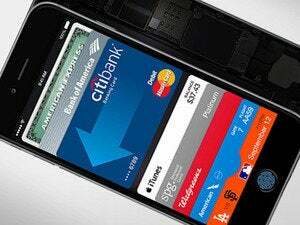 Apple Pay will be available as part of an iOS 8.1 update rolling out Monday.